Sparked by the world’s richest avian diversity, bird-watching around greater Medellin, Antioquia, and Colombia continues to grow at an accelerated pace -- thanks to better organization, an improving security situation and better infrastructure. On a parallel front, a new organization – Manizales-based Corporacion para el Fomento del Aviturismo en Colombia (Coraves) – has fashioned itself as a focal point for organizing bird-tour companies and for birding-trips, while also serving as a new source of education, training and conservation. In a June 30 presentation to the monthly Sociedad Antioqueña de Ornitologia (SAO) public meeting at Medellin’s planetarium, Coraves director Jose Ferney Salgado explained the history of the new organization, its activities, and projects that eventually will expand birding opportunities in several environmentally sensitive areas. To date, affiliates of Coraves include international bird-tour operators Neblina Forest (based in Ecuador), Naturetrek (UK), Keep On Travel (Denmark); Colombia-based birding tour operator Manakin Nature Tours; the “Finca Romelia” birding-and-orchid reserve (near Manizales); and the soon-to-open “Aguas Azules” nature reserve and lodge, which will combine high-altitude birding (for specialties including Buffy Helmetcrest and Rufous-fronted Parakeet), volcano-sourced thermal baths, and a spectacular forest of the endangered frailejon species. Other organizations enjoying special agreements with Coraves include Colombia-based “Nature Trips” (Pereira), Jaguarundi Travel (Bogota), The Colombian Project (Cali) and “a new lodge around Cali that we’re just starting,” Salgado told Medellin Herald following the SAO presentation here. Coraves also recently launched “fam trips” that enable birding tour agencies to familiarize themselves with target destinations for future, organized group tours, he explained. While such tours for North American, European, Australasian or other foreign-based birders can cost thousands of dollars – with part of tour fees supporting new or continuing conservation projects -- Coraves also organizes relatively low-cost birding trips for the vast majority of Colombian residents that can’t afford such premium-priced tours, he explained. For these tours, fees are charged in Colombian pesos -- and “I accompany these myself as the guide,” Salgado said. “We don’t charge anything for the [Coraves] corporation, only the per-diem costs of the guide." On recent tours, "we’ve already visited San Cipriano [near the Colombian Pacific port of Buenaventura], Cali, Jardin [Antioquia], among others,” he added. One such recent trip to Jardin yielded great views of the relatively hard-to-observe Chestnut-Crested Cotinga (Ampelion rufaxilla) in the Alto Ventanas area (see photo). 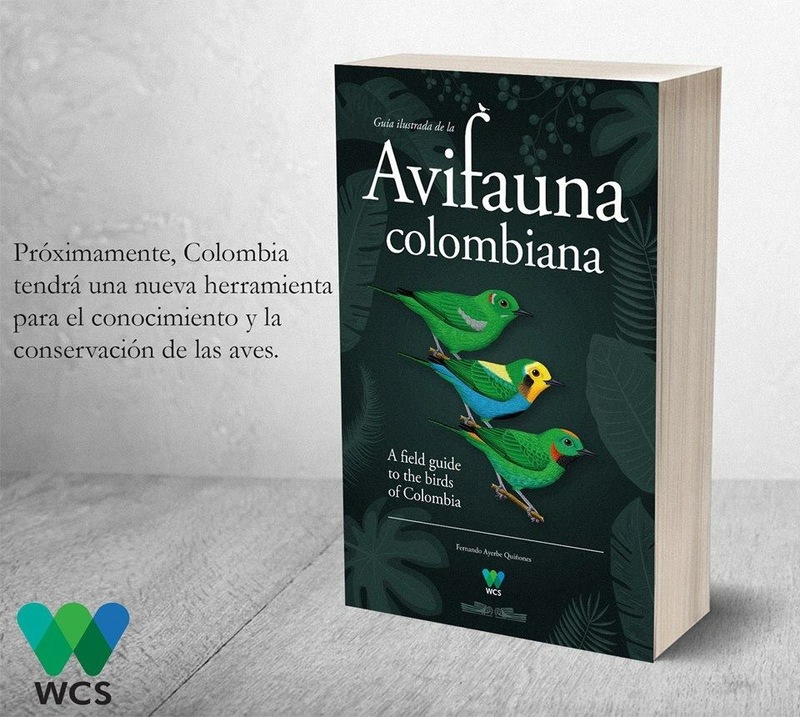 Organized birding trips around Colombia “can cost foreigners around US$1,300 per-person, but this program [for Colombian residents] can cost between COP500,000 [around US$170] to COP1 million [around US$335]," he said. “One must keep in mind that we can achieve these lower costs thanks to agreements that we have with hotels and transporters in each zone,” he added. Another Coraves project in-development includes a new “Santa Marta Birdwatching Lodge" that would start-up in 2017, in the “Campano” sector near the El Dorado reserve -- but unrelated to the ProAves-owned El Dorado Ecolodge in the mountains above Santa Marta, he explained. On the public education front, a recent initiative cosponsored by Coraves involved a campaign to stop fireworks shows on Mount Sancancio, near Manizales, he said. Such fireworks explosions cause great stress to birds and other wildlife. Thanks to this campaign – which enlisted dozens of volunteers and scores of petition-signers – the city finally decided to move the fireworks show to a much-less sensitive area, he explained.